Dtoid, its been a while. Ya, I know I don't write to you often, but you know what I'm doing very important gamer business, I think. Look, beating 60 games in a year is hard, and well I still got a lot to write about. Thankfully we are almost to the point where I am at for my challenge. So for now, please accept this offering of games 40, 41, and 42 of the now currently 55/60 games I have beaten this year. I have beaten the first game and seen some of Unjammer Lammy (the spin off to parappa) and to watch and then play this game, I am disappointed. Not only are the songs not nearly as catch, quirky, or anything particularly capturing, but it�s far too easy. I bought the game the day before, and I have just now beaten it the day after, took me less than 3 hrs, if not 4. The game just gives you far too many chances to pass the song, and while I didn�t like how unforgiving the first was, making things easier isn�t exactly better either. The answer is usually somewhere in the middle, and PaRappa didn�t really hit anywhere near that. The story is ridiculous, corny, and even more childish compared to the first one. While the first one wasn�t anything really serious, it was still about PaRappa going on a musical journey to better himself for the girl he loved; this one however, is about how he hates noodles and being called a baby. This game just misses everything that the first gives with charm. I know that compared to games now, PaRappa was a horrible game, but the way it presented itself like it didn�t care and it did its own thing gave it the kind charm you could love. PaRappa 2 just feels like here is another game featuring PaRappa because you guys missed him. Not to say that PaRappa 2 is all kinds of horrible though. There were some improvements, like how you can save a replay of your awesome rapping style. There are also a number of different difficultly levels, which may explain why it�s so easy the first time. And there are more stages to play through too, 8 instead of the original 6. Still these are just too little improvements and there is just less heart in this game to say it�s something worth getting. 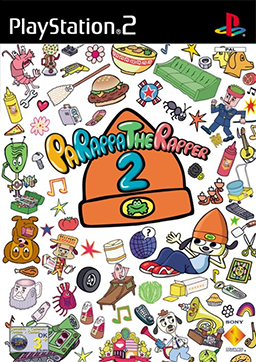 Conclusion: PaRappa the Rapper 2 misses everything that made the original so great. It lacks the charm, originality, and awesome music the first had, and does little to nothing to improve on the formula to make it better than the first. Frankly, it�s better if fans stand away from this game to keep it from soiling memories of the original PaRappa the Rapper. Rhythm Heaven Fever first caught my attention at a local gamestop where I would play it on occasion and try to beat some of the levels that were unlocked. I certainly wasn�t the best at it, but the overall challenge and fun attitude of grading really got me into it. I did, however decide to pass it up because, while the game was fairly cheap, I was cheaper and didn�t have that kind of money to spend on just any game I wanted. Course, a wonderful best buy sale came along, and I was able to snag this game for 5 dollars by price comparing it at Walmart, Twas awesome. Anyway, I made sure to play it as soon as I was able to, and boy was it hard starting out. I don�t know what it is, but that golf mini-game took me so long to get the hang of, just something about the swing and rhythm didn�t get along with me. After what seemed like 30 tries I was able to finally move on and play the rest of the game. Once I was done fine tuning my rhythm I was able to blast through the majority of the game thanks to the ability to skip ones I just wasn�t getting and practicing my heart out on ones I wanted to pass, mainly the remixes. The game is somewhat forgiving when it comes to passing the levels, but getting superb medals are brutal, not to mention perfects. I really do love how quirky this game can be, but sometimes it can be your worst enemy. The majority of feedbacks don�t really help, and the fact that you think you are doing great only to find out it wasn�t nearly up to par with what the game wanted from you makes things quite annoying sometimes. This is especially true for Remix 10, which I took a lot of time on just passing. Having to learn the motions it goes through, and thinking I was good at it only to find I needed to try again was disheartening. Still, for what this game is, it does what it says and delivers it with charm. RHF is all about the rhythm, and for such a simple amount of controls it has, it really does deliver a lot of action and thought to what simply comes down to pressing a button at the right time. Conclusion: Rhythm Heaven Fever lures you into what appears to be a simple, quirky, and somewhat cutesy game. But in reality it�s one of the most challenging games I have ever played, and one that requires a lot patience and devotion to master. Still RHF always manages to keep the mood light, and one can hardly stay mad at it for long, and really the cheery, upbeat attitude is what makes RHF what it is. 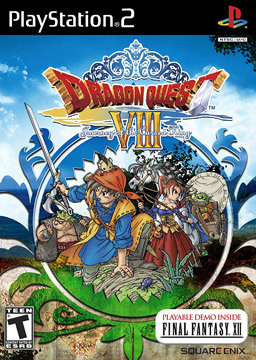 I got Dragon Quest VIII due to how much I liked DQ9, and the fact I like to collect a lot of games. And when starting out, well, you can tell it isn�t the exact same game has DQ9 lets on. At the least, everything looked and acted the same, but it certainly was more JRPG then I come to expected, but I knew it wasn�t going to be exactly the same game as 9 was. Still, I had a lot of trouble playing it in the beginning. DQ8 just didn�t get my attention like 9 did. In fact, I can say that I fell asleep playing it, as it was just that boring starting up. But once you get your third party member things really do pick up, and eventually it hooks you in to playing hours on end. That would be my major complaint for DQ8 as it takes too much time to get to the meat of it. DQ8 has so much to offer any given player, and while I understand that it doesn�t want to ransack me with loads of information it still doesn�t grab my attention as much as it should in the beginning. Still, once you get to the heart of the game, it is quite light hearted, and filled with characters that you can relate to and actually feel for. While the voice acting may not always lend it to be the best it at least gets the job done. Characters are given a certain personality as well, something you can latch on to, and establish a relationship with. And when everything is said and done, you really will miss saying goodbye to these characters in the end. The story itself is also the same as the rest of the game, as you never quite know what is going on till you are actually wrapped in the story to the point where you want to keep seeing what happens next. And perhaps, that�s the main drive of DQ8, everything hits you without you really realizing it and in that regard, I think it makes it a good game. Aside from that though, many of the Dragon Quest tropes are all back in action, and stronger than ever. You�ll see, hear, and play the same game you have always been playing throughout the series. Good or bad, it really is nice to have a game that can be so in touch with its roots, but be completely different from past games, story wise. Conclusion: Dragon Quest 8 starts off slow and steady. And while that may drive some players off, if you stick with it, DQ8 will win your heart with its endearing characters, and larger than life story. 8 still contains much of the same tropes of the Dragon Quest series it is a part of, but this proves to be much more of a good element to the series, then a tiring one.